Love the game, especially the music when you die. Fannn-tastic. I love everything about this! 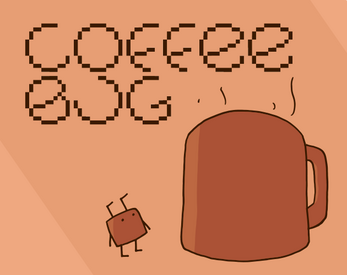 The retro style, the different enemies and their quirks, the fact it revolves around coffee. Jeez, this is an addictive substance, just like its namesake. The gameplay is easy to pick up, the difficulty ramps up nicely depending on the level you choose and there's a whole tonne of replayability. I think you're onto an absolute winner here, and even though I only got to a certain level and not a whole load of points, if you added a wee bit more , that plot could make people keep going and going to get to some kind of ending! I love it! I just figured out that you can toss your coffee into the shop from a distance and now I'm trying to get through the first few levels by only tossing coffees and downed enemies instead of carrying them in. Favourite game since Cat Bandit.